Don’t want to deal on exchanges? Know Your Customer rules too troublesome? Go to LocalBitcoins, and find someone to trade with directly! … oh, they’re now demanding ID for significant volumes too. The UK Treasury Committee Digital Currencies inquiry deadline has been extended to Monday 30 April 2018! Skeptics, get your submission in — I understand they’ve been flooded with submissions from ardent Bitcoin fans, but what they’re after here is well-considered quality. Submissions from outside the UK are welcomed too. Baidu is launching Totem, which appears to be a direct copy of Kodak’s ridiculous KodakOne initiative — a stock photo site which uses artificial intelligence to scour the web for copyright violations, and which will “initiate online rights lawyers” to resolve disputes. On a Blockchain — to be called Pic-Chain — for some reason. You know that Australian coal-fired power plant that was supposedly reopening to mine Bitcoin? Here’s a followup on the story. From Mark Serrels at CNet, who I apparently scooped somewhat (cough). Bitcoiners: Bitcoin is the money of the future! JP Morgan: Bitcoin is money? Sure, we’ll treat it like money then! Cambridge Analytica planned an ICO! And instead, they got The ICO. They also planned to market other tokens. The Dumb Money: The definitive explanation of why Bitcoin is stupid. 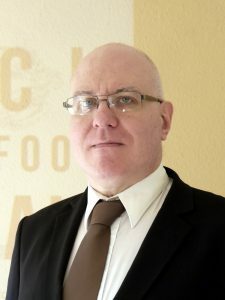 A readable Jacobin article! The obligatory leftist polemic is tacked onto the end and doesn’t get in the way. The rest is a good, accurate and apposite read. “Attack of the 50 Foot Blockchain” is still $3.49 on Kindle Canada this month! Or there’s the lovely paperback! Or a signed paperback! ICO pitch: "Our suspension bridges will be made out of cheese, which is much cheaper than steel. The scientific breakthrough required to strengthen this cheese? Check out our roadmap." After reading Bitcoin Twitter for 72 hours non-stop, I finally get it. Bitcoin is like the gold standard, but without its flaws, because blockchain. It will usher in an era of unstoppable prosperity, much like cherry-picked periods in history & only for the parts that were good. 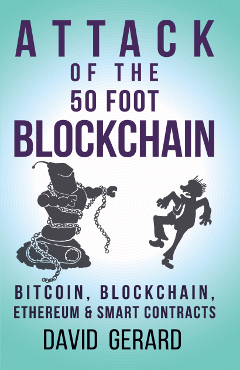 CreateSpace error in your favour — signed copies of “Attack of the 50 Foot Blockchain” available! £10ea in quantity!